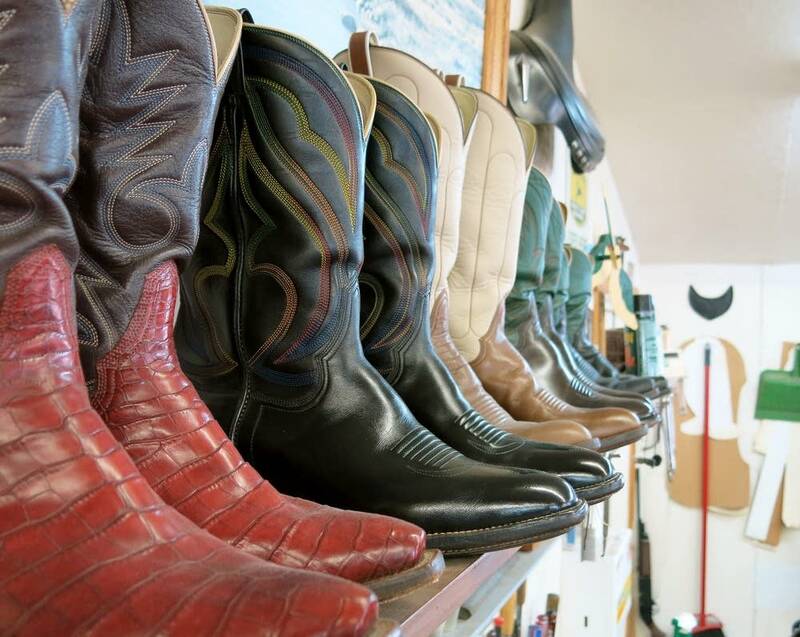 Most boots are manufactured by the thousands, and shipped from China or other countries. But one man in northern Minnesota is still doing it the old way. 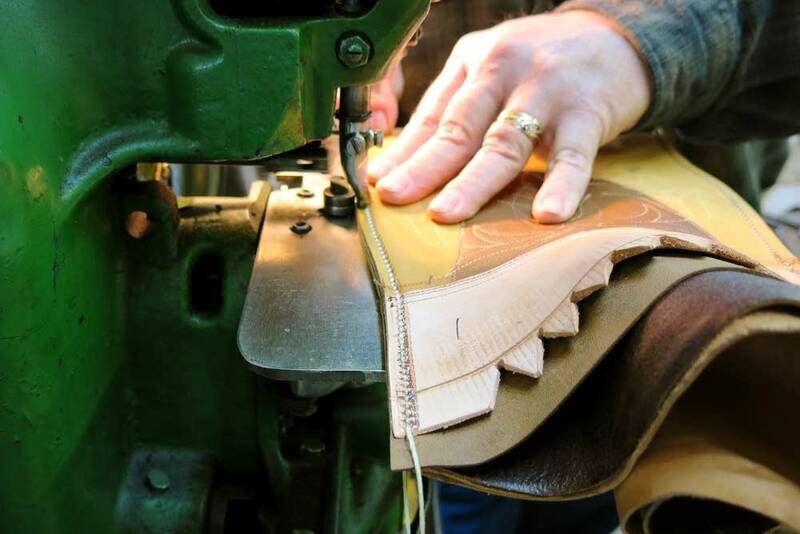 Craig Bartels owns and runs Buster's Boot Company, one of the last custom bootmakers in the Midwest. He doesn't really advertise. He's not online, and if you want a pair of his boots, you have to drive to his workshop down a small gravel road south of Akeley, with a check or cash and clean socks. "I got to be able to sit there and touch your foot," he said. "Now, this sounds kind of strange, but I got to touch it. Feel it." Every foot is different. Some feet are hard and bony. Some are squishy. They require a different sort of fit. Just about every boot on the market is built around something called a last, a chunk of plastic that looks like a foot. The major companies like Red Wing Shoes, or Tony Lama Boots use the same last for hundreds of boots. Bartels sculpts every last by hand with a rasp. "When I make a last," he said. "That's you. The boots won't fit anybody else." Buster's boots aren't cheap. A pair of basic cowhide boots start at $850. Sheets of ostrich, and kangaroo are stacked in the back of his shop. Such exotic materials run prices into the thousands. 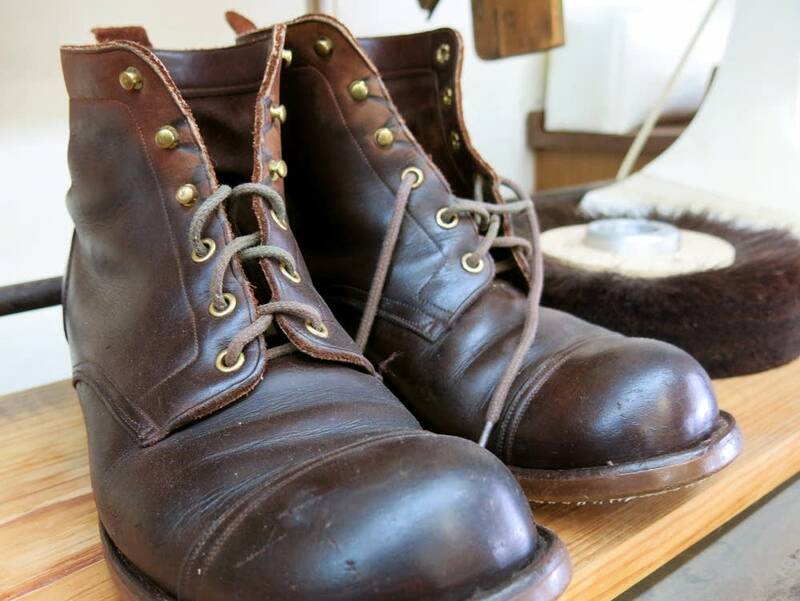 Mass produced boots are much less expensive, but every boot Bartels makes is cut with hand tools, and stitched on a 100-year-old sewing machine that glistens with burnished chrome and grease. Every pair takes him at least 50 hours, and they're guaranteed to fit even the strangest foot. Bartels said that's the way it was always meant to be. "Seventy-five years ago we made shoes and boots," he said. "We didn't manufacture them. We made them, and people's feet were being supported. Now we have all this crap." Bartels learned the importance of good boots as a young man on the back of a horse. He grew up in rural Minnesota. His father ran a small town grocery store, but Bartels didn't have much interest in stocking shelves. At 14 he went to work as a cowboy at a nearby ranch. A few years later he headed for the Great Plains to wrangle cattle. "I hit dang near every state west of the Mississippi," he said. "I had an old 1965 Ford pickup, and I lived in that. I had a saddle and I had seven pairs of blue jeans, and seven shirts, and two pair of boots." Cowboys don't make much money, so he bought those boots off the shelf. Bartels always had strange feet. He had to buy boots a size too small, soak them in a river until the leather got supple and soft, then jam them onto his feet. When the boots dried, he said, they'd be close to fitting right. 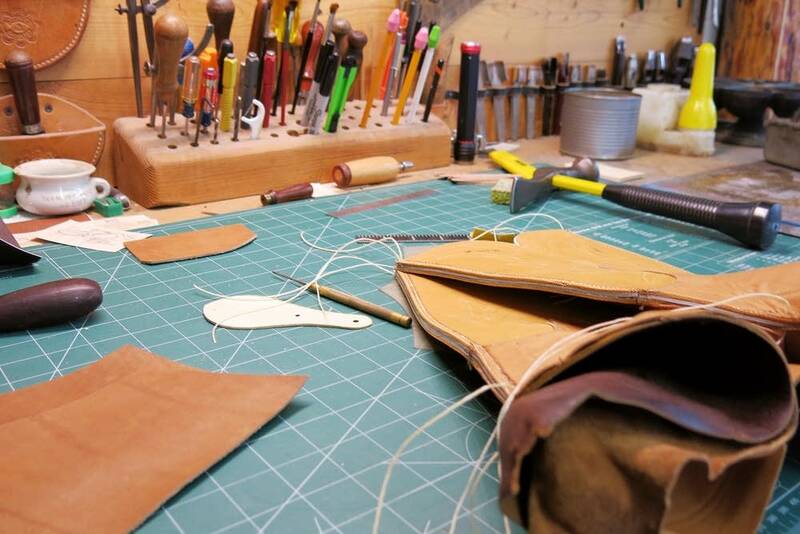 It was a painful process, so when he hung up the saddle 25 years ago he headed for Texas to learn the art of custom bootmaking. 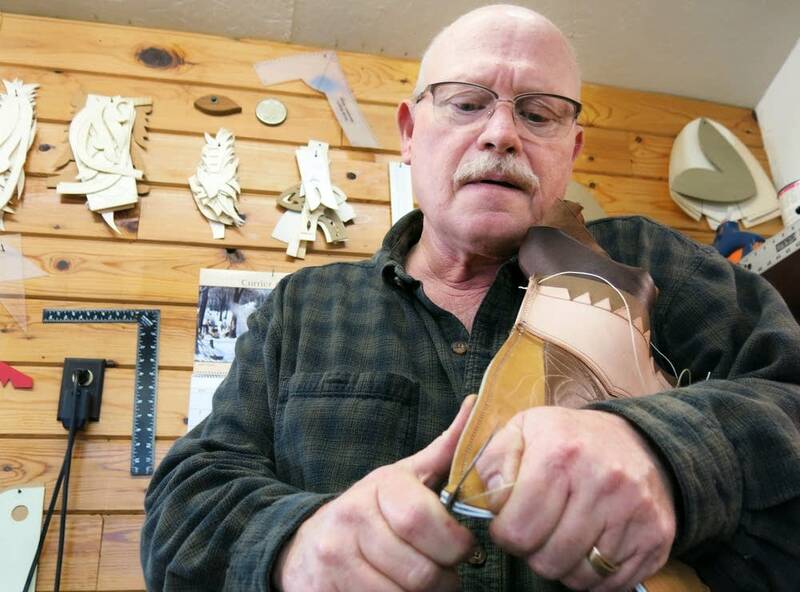 He's been making boots for more than 20 years in Akeley. The shelves in the back of his small shop are lined with hundreds of lasts. He keeps them for repeat customers, and remembers just about all of them. He pointed to a square-toed last he made for a Japanese businessman. "He brought along his interpreter," Bartels said. "He liked the Duke. John Wayne." He lifted another large pair of lasts from the shelf — the feet of a local well driller. Another pair belong to a pilot with tiny feet who walked into the shop a decade ago, asking for sharkskin boots. Bartels remembers the boots. He remembers the feet. More than two decades of bootmaking has taken its toll. Bartels' lower back is worn out from bending over that machine, and he wears bifocals now. That's the price of making a good boot, and Bartels said it's worth it. His most recent customer just wrote to say his feet don't hurt for the first time in 54 years. "He said he will never be without a pair of Buster's boots," Bartels said. "And it felt so darn good to hear it, because, you know. You don't always hear it."